The Auralex SonoLite Bass Trap panel offers a more affordable, high performing, low-frequency absorption solution to your room’s bass issues. 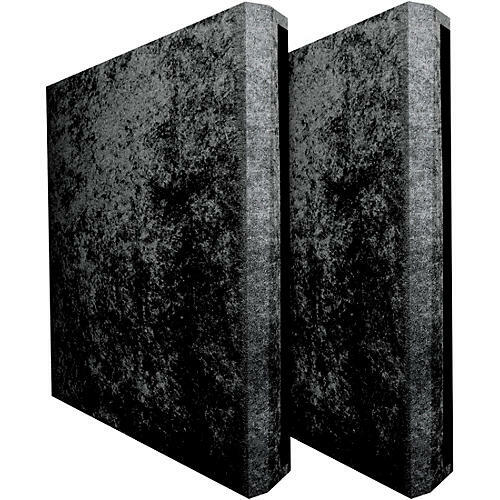 Its 2’ x 2’ rear mitered profile is suitable for corner mounting for additional low-frequency control or can be flat mounted on a wall or ceiling. At the core of each panel is 3” of our industry-leading Studiofoam Pro, allowing the SonoLite Bass Trap to achieve an A mount NRC rating of 1.15 and are offered in two attractive velour fabric color options, black and tan.